If you struggled with the “egg” assignment in your high school Child Development class – you know the one, when you had to pretend an egg was a baby and care for it over the weekend – you’re going to be floored by how far things have come. Because now they give kids robotic babies that, like real babies, scream bloody murder if they’re not rocked, fed, burped, changed, or you know, just because they’re fussy. 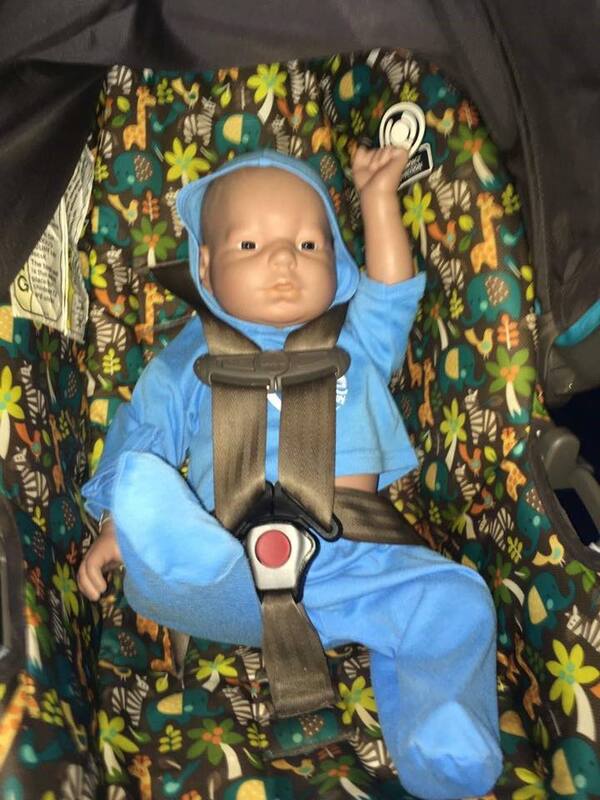 Mom Lawren Galloway came face-to-face with one of these monstrosities when her daughter, Olivia, brought home a bouncing baby boy for her Early Childhood Education Class. 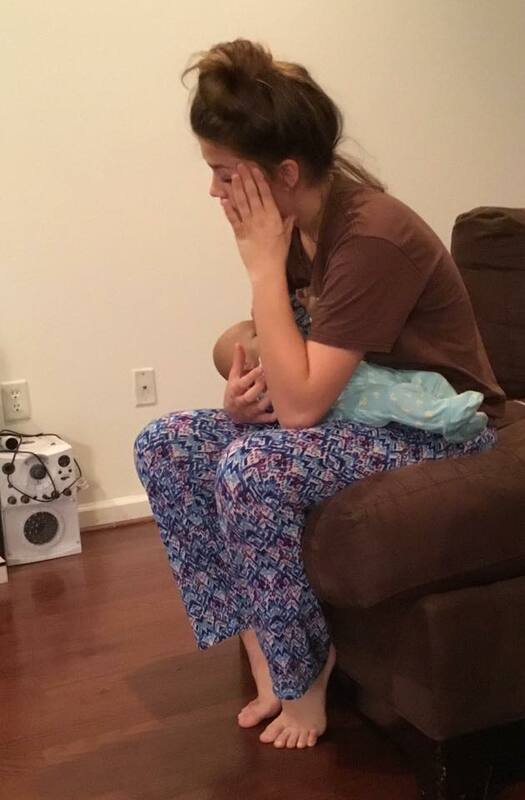 The baby wailed so much that Olivia got the full Mom experience. First off, I don’t know how regular babies seem to sense mealtime, and it freaks me out that a fake one does the same thing. Second, only three times? Then, Olivia wanted a shower. Those things that moms dream about during the 40 minutes of sleep they manage to grab between feedings. At least she understands mom buns now, though she’s thankfully (for her) escaping postpartum hair loss. What makes this whole thing funnier is that Olivia is the oldest of four kids – and the youngest is just three weeks old. You would think that watching her Mom do the whole thing with an actual baby (and three other kids) would have made this smooth sailing for Olivia, but no. Even with everything she went through, Olivia didn’t manage to pass the assignment with flying colors. 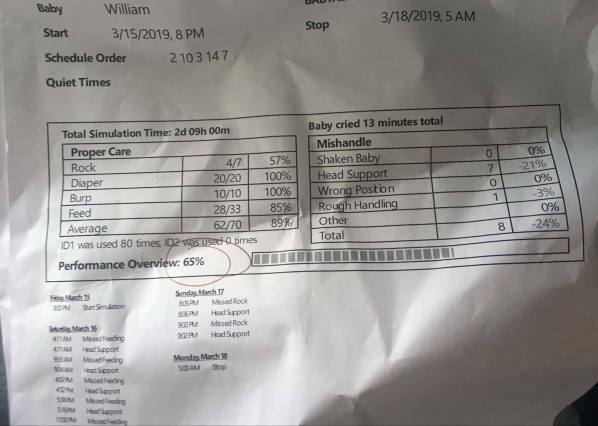 She didn’t provide the baby with proper head support, didn’t like rocking him, and only fed him 85% of the time. Too bad 85% isn’t passing for parenthood. Maybe the second one will be easier. Hahahahahahahahahaha…or not.